Users of the Amazon Prime Instant Video service have been unable to stream titles to the big screen via the Chromecast dongle, until now. 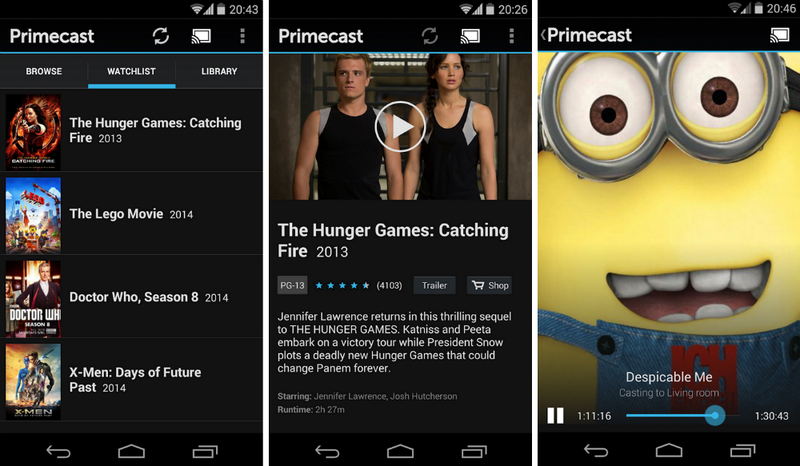 With Primecast, a new application on Google Play for $2.99, you can cast any of your movies or TV shows on Amazon directly to your HDTV in the living room. Using an encrypted connection to Amazon’s servers, Prime members can cast titles that are already selected to their watchlist and library tabs. Just as a note, videos you want to cast must be in one of those two tabs in order to enjoy. To do this, just make sure you either already own or have rented the title in question, making it appear in your library when you are ready. For the price of $2.99, this is a fantastic solution if you are in the need to bring those Amazon shows and movies to your TV.